When you go to the toilet, the cool cap will be disconnected from the cooling machine. When standing up, some patients become dizzy due to the cold. It is therefore handy if someone walks with you (nurse, partner). While you are using the toilet, the cool cap will warm up, but if this is less than 10 minutes it will have no effect on hair loss. Immediately after reconnecting the cool cap to the cooling machine, the cool cap will get colder again. You can feel this clearly. The final result of scalp cooling can usually be estimated after the second chemotherapy session. 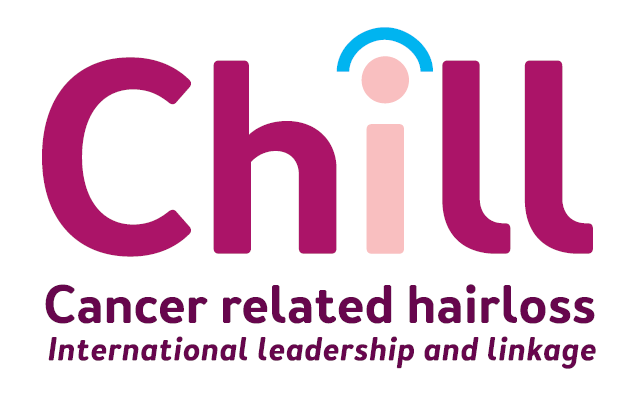 If the hair falls out in large clumps after the first chemotherapy session, scalp cooling is probably of no use. If there is moderate hair loss after the first chemotherapy session, then it is certainly worth the effort to try it a second time. Most of the hair loss occurs after the first two sessions of scalp cooling, after which the hair loss decreases. If scalp cooling is continued despite hair loss, hair starts growing again during chemotherapy. You determine whether you are satisfied with the results of scalp cooling. If you are not satisfied, you can stop when you like. It has not been proven that the results of the scalp cooling improve if the hair is thinned in advance. If hair loss occurs despite scalp cooling, this is not as noticeable if the hair has not been thinned. There is no evidence that the results of scalp cooling are better if the hair is (cut) short. Short hair does often look fuller than long hair. Cutting the hair short can make the transition to any hair loss and a wig less drastic. When the hair does not fall out completely, longer hair can camouflage any bald spots. When you do not shave off the hair and it starts growing again, you get a fuller head of hair sooner.